Australia has maintained a solid reputation for having a great deal of capital available to entrepreneurs that are early in their business or established entities. The way that the government makes the determination is through applicants applying through their local region or state within Australia. When trying to ascertain which government grant is the ideal fit for your business, it is wise that you consider the information discussed below. Find all the available government grants in Australia in our comprehensive list below. 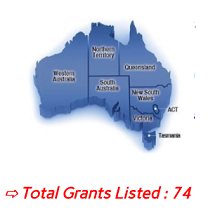 These grants are typically divided between the regions of the Northern Territory, Western Australia, South Australia, Queensland, New South Wales, Victoria, Australian Capital Territory (ACT), and Tasmania – some are applicable for more than one region and some aren’t – it’s all stated below. This grant allows those that are unemployed to receive government assistance to allow themselves to become business owners and be self-employed. The amount on this grant varies on a case-by-case basis. This program allows Australian businesses with a paid for workspace for up to 90 days. This amount depends on the size and nature of the business that is developing. This grant provides the opportunity for indigenous people to have up to $30,000 AUD to start their own business or grow their existing business. This grant allows for technology startups that are based in NSW to obtain funding of up to 35% of approved projects with a funding maximum that cannot exceed $100,000 AUD. This grant is targeted at the Aboriginal and Torres Strait Islander the opportunity to get financing and training options to grow their businesses. The amount varies on the industry; however, companies have to have at least 50% owned by these underrepresented groups in order to be eligible. This provides those with low income backgrounds the opportunity to obtain an interest free loan of up to $3,000 AUD to support the expansion or start of their business. For companies that are incorporated in NSW, this grant allows the opportunity to obtain funding of up to $15,000 AUD on the condition that they collaborate with a research partner from the Boosting Business Innovation Program (BBIP). For businesses that are located in NSW, there is a $500 AUD rebate available for those that develop their health and safety practices. Lending Express is a marketplacefor small business loans. Small businesses with at least 9 months of trading requiring $5,000 to $100,000 can apply for a loan and be instantly approved. 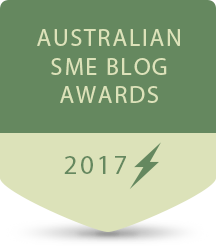 SmallBusinessLoansAustralia.com recommends Lending Express – but please note, this is note a government small business grant! You will receive your financing from an Australian approved lender and would have to repay it under the agreed terms. This small business grant is available for small businesses that are engaging in regional filming projects in NSW. There is up to $100,000 AUD available to cover production costs. For businesses and schools, it is possible to obtain funding of up to $25,000 AUD to help in the effort to improve water efficiency. This program is targeted at low income individuals and provides them with the opportunity to get low interest loans up to $3,000 and up to $10,000 to purchase materials to make them competitive. This allows business ventures within Australian universities that satisfy the US MURI standards to obtain up to $3 million AUD in funding and expand their potential and business networks. This small business grant allows businesses to obtain matched funding of up to $1 million AUD along with targeted advice for growth. For a startup that is approaching on $10 million AUD in committed capital, this grant will assist with matching the business to foreign investors looking for venture capital opportunities. This grant is targeted at those startups that are dedicated to creating child care businesses in communities that have a need. Depending on the size of the entity, an amount will be determined to cover startup costs. This grant is targeted at those in the biosciences industries that want to partner with China. For eligible entities, there is a possibility of obtaining up to $1 million AUD in startup research funding. Grants are available to organizations that want to improve the overall infrastructure of the Australian Capital Territory with potential amounts between $20,000 AUD to $10 Million AUD. For researchers that are located in South Australia, they are able to obtain up to $45,000 AUD of funding to research laser, optical fiber, and sensory technologies. For individuals in the manufacturing business in South Australia, there is a potential to receive up to $50,000 AUD to develop a partnership with a research service provider to develop a new manufacturing process or product to bring to market. This allows for manufacturers that were negatively impacted by the closing of the automotive industry to obtain up to $500,000 AUD to cover up to 50% of costs required to change their business model. For startups that are attempting to enter the manufacturing sector, this grant will determine the industry and potential capital that will be given. It is absolutely worth applying for to cover those expensive startup costs. For local small businesses in Queensland, there is a potential to match funding of up to $5,000 AUD to access professional business development advice. For manufacturing companies that are based in Victoria, it is possible to obtain up to $500,000 AUD for both manufacturing products and processes. For businesses based in Victoria, it is possible to receive up to $50,000 AUD of funding to create and maintain jobs. Two or more organizations are set to receive funding of up to $1 Million AUD to cover up to 50% of costs dedicated to job creation and helping businesses in Victoria grow. For the fields of Science, Technology, Engineering, and Design that are located in the Norther Territory, there is a grant of up to $25,000 AUD available to conduct research. This grant allows for organizations from a wide span of industries to received $250,000 AUD in matched funding if they partner with Israeli companies on research projects. This grant is targeted for startup businesses in the technology sector that can obtain funding matching up to $30,000 AUD for their startup costs. This grant is for businesses that have interaction with underrepresented groups or that have a presence in remote areas. With this small business grant, it is possible to obtain $5,000 AUD to $10 million AUD in funding. This grant provides businesses in the manufacturing sector in Tasmania with up to $15,000 to undertake growth projects. For primary producers that are located in Queensland, there is an opportunity to receive $2,500 AUD and to cover up to 50% of the costs to obtain professional advice to assist with succession planning. For businesses that are in the agricultural industry, this grant provides between $55,000 AUD and $1.65 Million AUD in funding to assist with the growth of this industry in Australia and for international recognition of the Australian agricultural sector. For organizations that want to make positive contributions to infrastructure innovation or development in Victoria, then it is possible to have funding of up to $500,000 AUD. For those artists and performing arts organizations that are ready to tour, there is a grant that covers up to 35% of their total income that can reach a maximum of $250,000 AUD to assist with costs of touring throughout regional areas. This grant is targeted at the creative industry and allows for financial assistance of up to $40,000 AUD to support business plan and global outreach. For commercial farms based in Western Australia, it is possible to obtain funding of up to $750 AUD to cover improvements to their water supply. For music businesses located in South Australia, this small business grant allows for up to $1,000 AUD of reimbursement for unexpected expenses. For individuals that are in the fishing industry, there is a loan available of up to $2 Million AUD to start a viable enterprise. This grant allows for businesses to receive up to $6,000 AUD rebate on payroll taxes to bring on more employees. This grant is targeted at small food and/or beverage produces in South Australia that are eligible for up to $10,000 AUD to improve their business and have a business evaluation with a consultant. For business located in Tasmania, they can obtain funding up to $50,000 AUD if they improve the literacy and numeracy of their workers and promote a workplace that encourages literacy. For businesses that have a presence in the Northern Territory, there is a grant for up to $4,000 AUD if the company employs an apprentice or trainee. For employers that decide to hire an apprentice, they are eligible for between $750 AUD and $4,000 AUD. 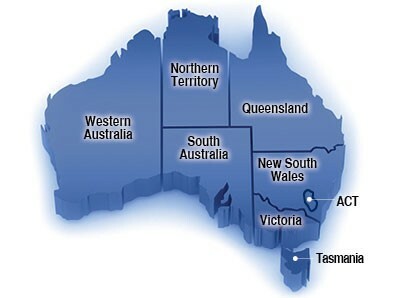 For companies located in Tasmania, it is possible to receive funding to create new markets both domestically and internationally. The amount depends on the particulars of the business. For exporters that are trying to increase their international sales with up to 50% of promotional expenses, it is possible to do so if the expenses are between $15,000 AUD and $150,000 AUD. For export companies, there is a potential budget of $45,000 to attend trade shows and the expansion of the selected products and their prospective markets throughout the program. SmallBusinessLoansAustralia.com recommends Lending Express – but please note, this is note a government grant! 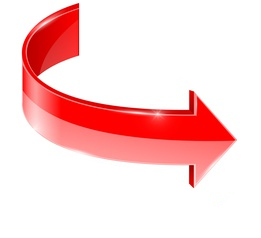 You will receive your financing from an Australian approved lender and would have to repay it under the agreed terms. For tour companies in Tasmania, there is the potential to receive up to $15,000 AUD. This grant allows for up to $20,000 AUD of matched funding in order to hire a business development specialist. This provides businesses in the technology sector with up to 35% of approved project costs with a maximum of $100,000 AUD. This grant provides companies with the flexibility to conduct market research and test their business model with consumers with up to $25,000 AUD of funding. For writers, directors, and producers in NSW, there is the potential to receive up to $5,000 AUD of funding. For organizations that are based in the Northern Territory, it is possible to have up to 50% of eligible costs of international marketing. This grant serves to assists business with the development and marketing of an innovative product or service with amounts between $125,000 AUD and $2.5 Million AUD. For businesses based in Queensland, there is the potential to receive matched funding of up to $10,000 AUD to hire advisers for business growth and development. This grant is targeted at businesses located in South Australia with the objective of providing up to $50,000 AUD to access new markets for exportation. This grant allows for between $5,000 AUD and $1 Million AUD to fund projects that will lead to strengthening the ecosystems in Barndioota and Kimba in South Australia. This small business grant opportunity applies to companies in Tasmania that want to expand to global markets with funding up to $10,000 AUD to cover 50% of project costs to establish markets both internationally and domestically. This opportunity provides organizations that organize competitive sporting or gaming events that bring competitors and supporters to Tasmania up to $7,000 AUD in support. For companies based in Victoria, there is a potential to receive access to overseas business facilities and company advice in a quantity of up to $250 AUD per month. For businesses that host events in Western Australia that showcase the cultures of the unique local communities, there is a potential to receive funding of up to $50,000 AUD. For principal individuals in ACT businesses, there is a possibility to obtain unsecured loans of up to $3,000 AUD with a rate of 3% to allow for business growth. For small and medium-sized businesses, it is possible to get up to $50,000 AUD to work on collaborative projects in the technology sector. This grant allows for small technology businesses based in ACT to $30,000 AUD to demonstrate the commercial potential of their innovations. This allows for startups to obtain 50% guarantee of a commercial loan up to $5 Million AUD. For projects that contribute to the economic development of the Northern Territory, there is the potential to receive a 50% investment funding of project costs. For businesses in the agricultural sector in Tasmania, there is up to $1.5 Million AUD available in low interest loans to develop the agricultural sector in Tasmania. Provides business that are small to medium range with $20,000 AUD to $350,000 AUD to cover up to 80% of a contract with an overseas buyer. Provides small to mid-size businesses with upwards of $100,000 AUD in order to afford a contract with an overseas buyer. Allows both small and mid-size businesses in NSW to be reimbursed between $1,000 AUD and $50,000 to cover up to 50% of costs to install equipment necessary to encourage workplace recycling. This small business grant allows for up to $250,000 AUD to support farm equipment that helps mitigate risks from challenging seasonal conditions. For commercial fishers and producers that are based in Queensland can get loans for up to $1.3 Million AUD for implementing more sustainable practices. For those with businesses located in Western Australia, there is a possibility to receive up to $15,000 AUD for developing additional farm water supplies and reduce water shortages. For pastoralists with businesses in Western Australia, there is the option to obtain grants of up to $20,000 AUD every 10 years to improve water infrastructure and quality of life of livestock. When trying to find additional funding for your business in Australia, it is important to start with the government SME grants. The reason for this is that the approval rates of these are far higher and their terms are better in terms of interest rates or no repayment at all. Many of these government grants for small business do not get funded because not enough business owners know to apply for them. Especially if you are a small to mid-size business owner, check the grant page carefully for the best possible results. If you are women, minority group or veteran, check that box on your application. These facts will put you in a particular pool of applications that will be considered closely. Once you take a moment to see what opportunities are available for businesses in a wide variety of industries, you will see that there is a chance for you to get funded by a small business grant funded by the Australian government.